The inspiration behind Version 8 was, quite simply, to provide an easier-to-use product. We based many of the improvements on customer feedback, the latest browser application technology and the emergence of tablet devices in the fitness/leisure club landscape. This, combined with the realisation that although we have continually added functionality and useful information, you, our customers, were not necessarily fully benefiting from this. We found that whilst the word “usability” has become the buzz-word for products that work better for their users, it is very difficult to define what this means. This focuses on how well a task can be completed. For example, the accuracy in capturing member information. This denotes how quickly a task can be carried out or information can be entered. For example, the number of steps involved in completing a routine process such as making a booking. How pleasant is the product is to use? This is driven by look and feel. This ensures the software is forgiving and helpful when errors are made with data inputting or navigation. Probably the most important objective – making the product easy to pick up, use and, therefore, benefit from. Our focus here was to make the information in ClubWise more accessible and understandable. 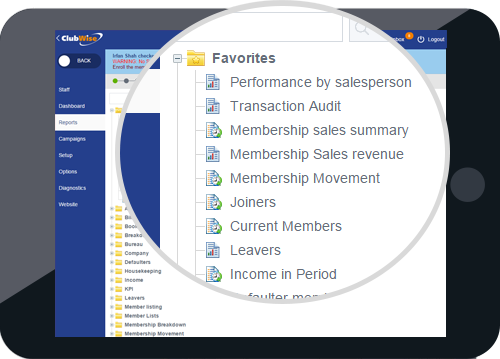 Improved graphical representation of KPI’s enable you to get the picture quicker on your club’s progress to achieving targets for the month. We have brought to life the ability to review progress against: the previous month, previous year, clubs in a similar training group, overall performance and standard benchmarks. The utilisation of staff (particularly important in managing personal trainers) is now visually summarised. The use of the lates t browser based technology has made the application faster to use with less interaction required with the cloud. 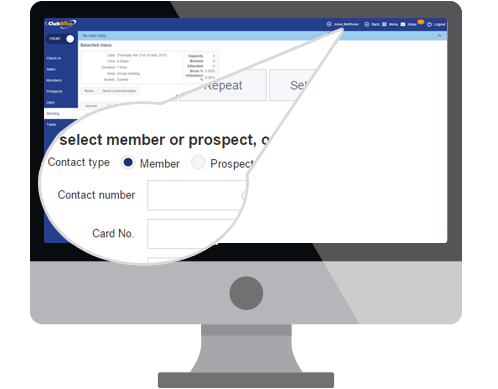 Taking a member through sign up is made easier with the “tagging” of the member in the toolbar, making it easy to, say, drop them into an induction booking after signing up, for example. Our new flat design and general simplification of information, we believe, has made the product more engaging. 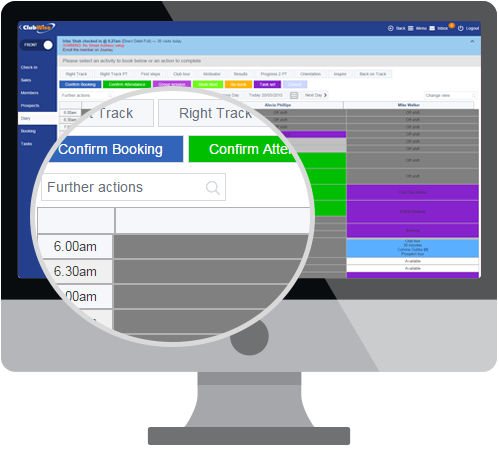 Features such as full screen mode (with the retractable side and check in bar) make it easier to access information and optimise the system for tablet use, where there is less space to utilise. We’ve provided buttons throughout the application instead of a URL to make the product less clumsy to navigate on mobile devices. Improved validation (such as with email addresses) make the product more tolerant for you as a user. This is the most important objective. 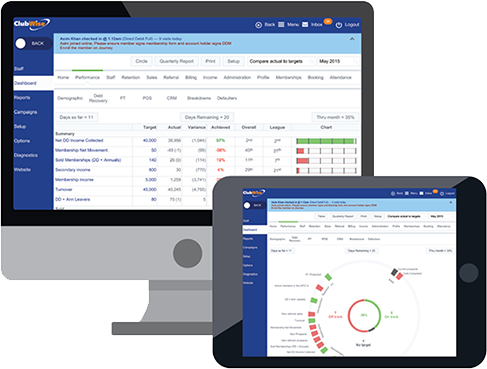 First, we focussed on consistency in all areas of the application, ensuring a standard User Interface (UI) with navigation, searching, prompting and layout. These are all small changes, but combined the effect is a more consistent and therefore easier to use product. Our new notification centre means we can provide useful tips on how to use the product going forward. The development of version 8 has taken over six months to complete. We sincerely hope you like it.